The discovery of an ancient tomb richly adorned with well-preserved wall paintings is the latest in a string of fascinating archeological finds which Egyptian authorities hope will attract tourists back to the country. The tomb belongs to Hetpet, who was a priestess for Hathor, a goddess depicted as a cow and associated with fertility, motherhood and love. The priestess, shown in scenes of hunting and fishing, is believed to have been close to ancient Egyptian pharaohs of the Fifth Dynasty. “The tomb is in very good condition. There are colored depictions of traditional scenes: animals grazing, fishing, bird-catching, offerings, sacrifice, soldiers and fruit-gathering,” Mostafa Waziri, the secretary general of the Supreme Council of Antiquities, told reporters. 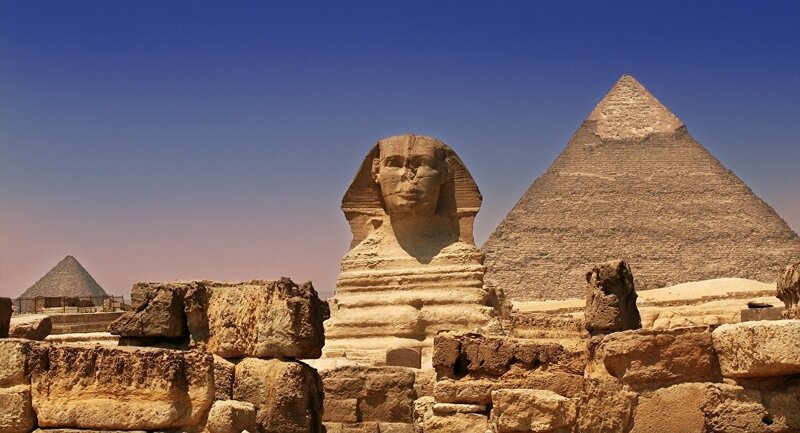 The tomb, which dates to about 2,400 B.C., was unearthed during excavations near the Great Pyramid of Giza, not far from Cairo, the BBC reported. Its walls also feature scenes of music and dancing, as well as monkeys, which were domestic pets at the time, Khaled el-Enany, the Egyptian antiquities minister, told reporters. The minister said he was looking forward to further discoveries at the site, which is located about 20km (12 miles) south of the capital.